Kyoto has always been popular amongst tourists and travellers, with visitor numbers steadily rising every year. If you are looking for lesser-known but equally interesting Kyoto travel experiences to avoid the crowds, Kameoka is the perfect place to go. Only a short train ride from central Kyoto, Kameoka offers a chance to encounter rural Japan and meet local people, for an off-the-beaten-path experience to remember. Kameoka, situated close to Kyoto city, is a popular place for locals who want a more rural lifestyle whilst being close enough to commute. With many interesting artisans and businesses thriving here it is welcoming travelers to see a side of Japan that is often missed. 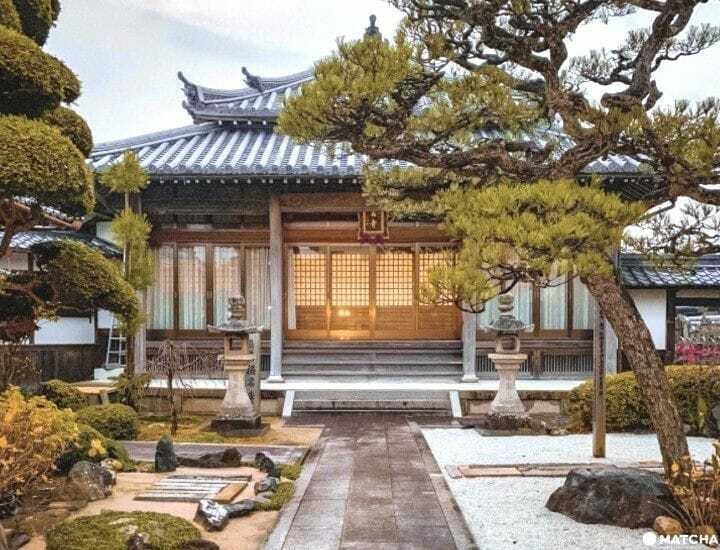 Visitors often come to Japan to experience ancient culture and deep-rooted traditions, from tea ceremony to the art of Japanese flower arranging known as ikebana. What better way to learn these incredible art forms than with practiced instructor? Mrs. Michiko Moriya is the owner of Kyoto Hana Hana. She is fully trained in the arts of tea ceremonies, ikebana and Japanese calligraphy. Her classes are specially created for travelers to deepen their understanding of these fascinating cultural pursuits. Her amiable nature and expert skills are a delight to watch and she can be booked for private group visits. including at private residences and guesthouses, of which Harare Ninoumi, a recently renovated traditional house with 3 private apartments, is a great choice if staying in Kameoka. Rich in history and culture, Kameoka has some incredible ancient temples to enjoy as well. Shomyoji Temple is such place. For a truly authentic experience, visit Mr. Masanobu Wada at Shomyoji temple, for mantra chanting and a mokugyo (Buddhist wooden drum) praying experience. It is taking place in the temple’s main hall. Breathe in the scent of incense while losing yourself in the enchanting atmosphere. Relax in the breathtaking temple scene and let yourself just be in the present moment. Meditation has long been associated with Buddhism. It is also a popular way to unwind and relax in other parts of the world. Practicing it at Shomyoji, it’s easy to see why it is so popular. Although the experience itself is free of charge, donations for the upkeep of the temple are welcome. We suggested donating at least 500 yen per person for this amazing experience. Just around the corner from Shomyuji is Café Saji, a place boasting fresh and healthy seasonal dishes for brunch and lunch. They focus on tasty wholesome dishes, many of which have vegan options. All of their choices are a treat for the eyes and the taste buds. Colourful dishes, homemade bento, and fluffy cakes make this a great spot to stop by and refuel while in Kameoka. Before heading back to the hustle and bustle of Kyoto city, how about escaping to mountains and enjoying a soak in the natural hot springs of Yunohana Onsen? Legend has it that the natural radium-rich waters cured injured warriors during ancient wars. People still visit the area to ease aches and pains after exploring the surrounding scenery. A number of onsen ryokan in the area offer hot spring and dining options using fine local ingredients, from ranging from fresh vegetables to wild boar. Make sure to leave enough time to take the romantic train or the scenic boat ride from Kameoka back west to Arashiyama. Running along a 16km stretch of the Hozu River, the views of the surrounding mountains are spectacular. Boats depart at 10.00, 11.30, 13.00 and 14.30. Trains are more frequent. Kameoka is a hidden gem just waiting to be explored. The area is rich in culture, history and nature and makes for a great addition to any Kyoto trip. How about escaping the crowds and visiting the rural side of Kyoto?